My fingerprint is in her phone... you can say we're tight. Having a roommate in college can be hard. Rooming with someone you hardly know can be even scarier. Will we get along? Will they snore? What if they have a weird fetish? There are so many things that could go wrong. However, once in a while, everything goes right. Throughout the past six months, someone I barely knew has become one of my best friends. When we decided to be roommates, we figured that we would get along, but we had no clue how much of a bond we'd develop. We unknowingly got each other the same Christmas presents. 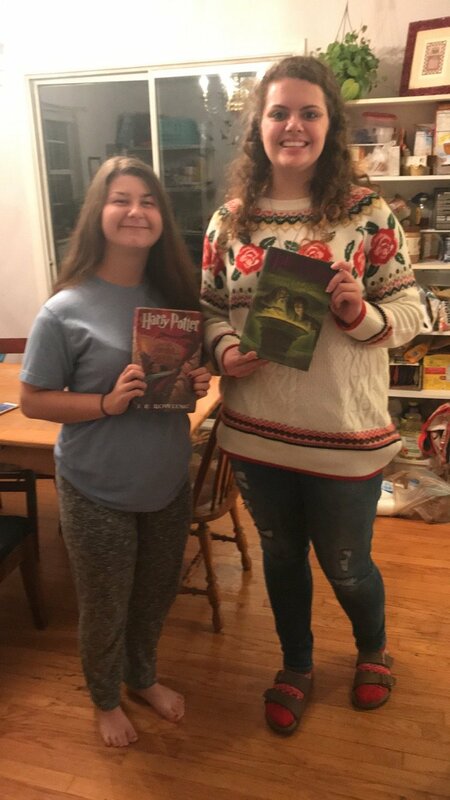 As we moved in all of our belongings at the end of the summer, we soon found out that we both loved Harry Potter... and reading in general. 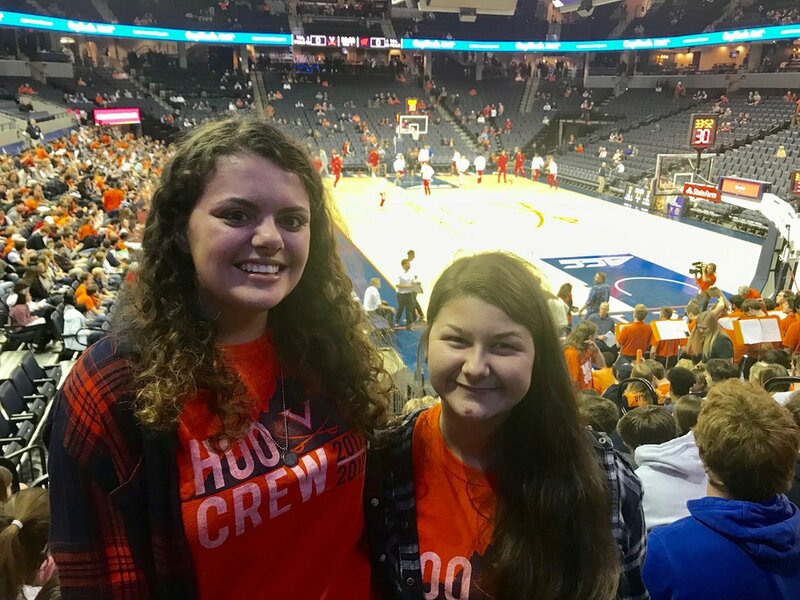 Soon enough we realized that we both love sports (especially Hoos basketball), we both come from small towns, and we both love to write. 2. We start to develop "our things"
As with any friendship, you do things together that become "your things." She introduced me to Stranger Things and The Crown, and we can watch them together. We understand that she drives me to the grocery store, and I steer the buggy. There was a Harry Potter themed day in a town close to us... we had to go! Since we have so much in common, we do a lot of things together. Need someone to go to the basketball game with? I'm there. I'm going to go to Barnes and Noble, wanna come? Is that even a question? I know you've already had Chick-fil-A once today, but you should come eat it again with me. Okay? Okay. We literally share a room. We can stay up into the wee hours of the night talking or watching Netflix or basically do whatever we want. Late night vulnerability is a great way to build a friendship quickly. Yes, we are very often together, but ~surprise~ we aren't attached at the hip. Occasionally our different majors force us to separate for classes and whatnot. When we aren't around each other for a while, it's a big thing when we reunite at the end of the day. In those 10 hours we didn't see each other so much could've happened. Tell me everything. We ended up wearing the same thing to the basketball game without planning it. Other examples: "It's fine. I'm fine. Everything is fine," and "Yeah you did!" She literally made a playlist for all of my favorite songs. We also have a solid "Hype" playlist that we blast whenever we can. My fingerprint is in her phone so I can control the music while she drives... you can say we're tight. 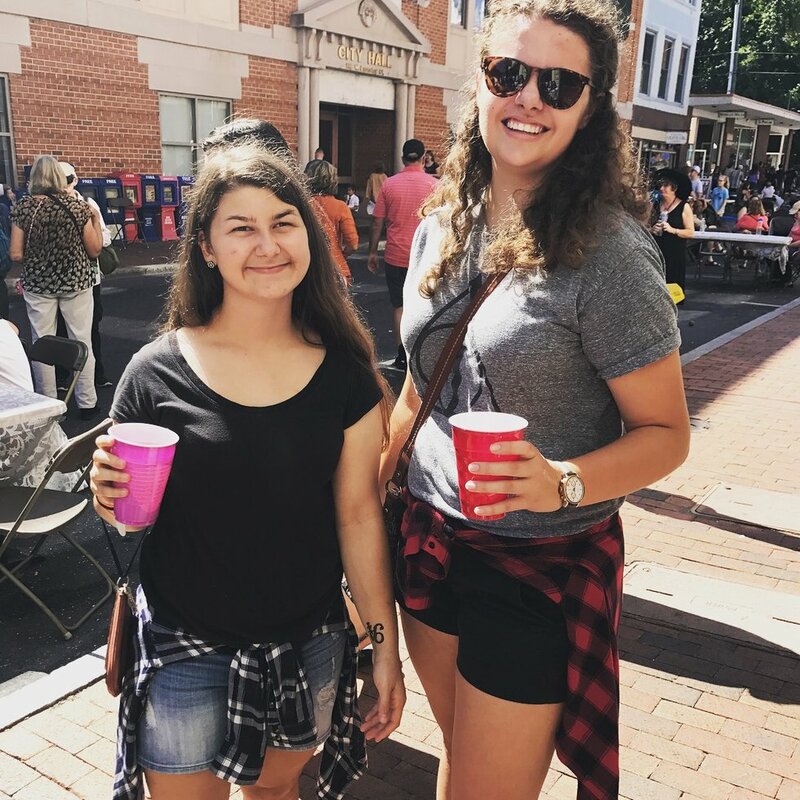 Whether it be going to the grocery store together or spending entirely too long analyzing outfits for the day, we have come to not only have fun doing these things together, but we have also become accustomed to doing them together. Not gonna lie, it's weird when I go to Kroger without her. She likes things to come in even numbers. I can only sleep on one side of my pillow. I can fall asleep almost instantly. She owns a wide variety of socks: everything from Edgar Allen Poe socks to custom ones with her dogs on them. I think the fact that we can live together and see each other at our worsts, yet still like each other really strengths and solidifies our friendship. Yes, she may be crabby right now, but it's because she has two papers and a presentation within the next 3 days. Yes, the Cowboys lost again, so maybe don't talk to her for a little bit. We just get each other.